Leg 2 began when we left Petersburg, AK. We headed down the Wrangell Narrows and made our way to Ketchikan. We have good friends there (Bill and Kathleen) and spent time to rest and re-provision. Our next task was to cross Dixon Entrance, a huge opening in the Inside Passage and the entrance to Canada. 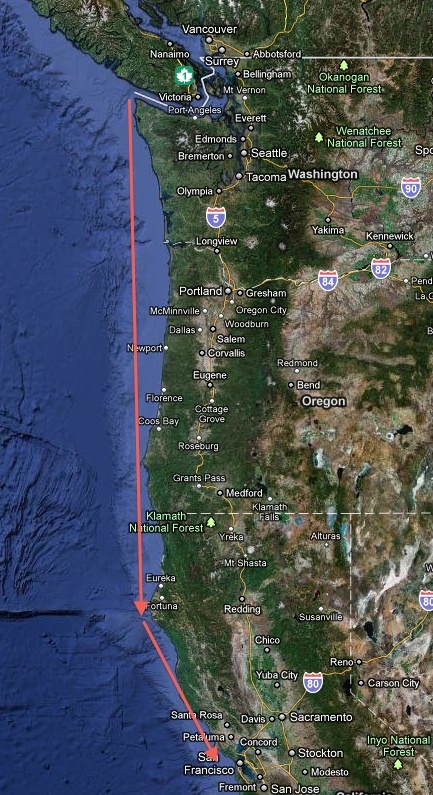 The distance between Petersburg and Seattle is about 1250 miles. 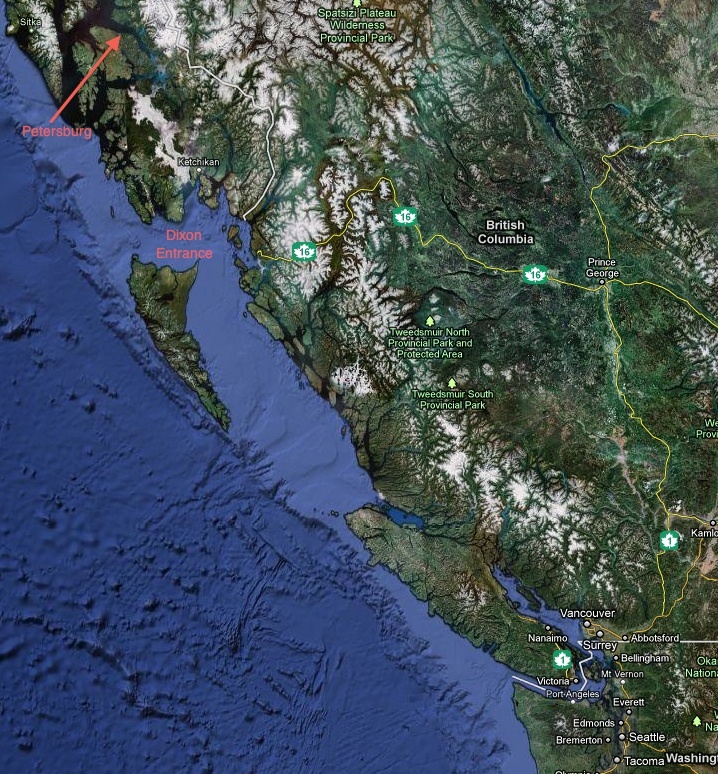 We passed inside Graham Island and made landfall and our first foreign port of entry in Prince Rupert, BC. From there, we skirted the coast, passed inside Vancouver Island, and into the Seattle area. We have friends in the vicinity (Art and Karen, Carol) and visited/re-provisioned for a almost a week, then headed south. Weather and conditions allowed us to make a long stop in Newport, Oregon so that we could have our dear friends in Portland (Holly, Rich, and Emma) visit us. We also made new friends with cruisers Doug and Lynn on S/V Miramar. We have become close during the past year of cruising. On leaving Newport, we again "harbor-hopped" along the coast of Washington, Oregon, and California, entering one of the great landfalls on Earth: going under the Golden Gate Bridge! Seattle, WA to San Francisco, CA is about 800 miles. We planned to stay in the San Francisco Bay area for at least seven weeks, visiting, having work done, and enjoying the Bay area community. After all, it's home to the largest Passport 40 community on the West Coast as well as being Conni's home town.